Set of three Happy Birthday Party cards. 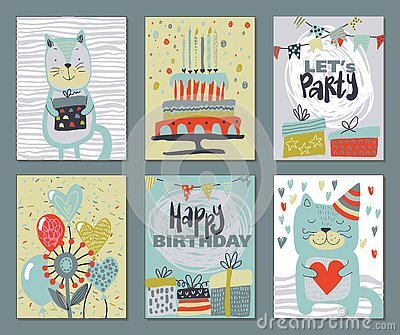 Vector hand drawn illustration with cake, balloons, cute cat. Sale background template, of three different tags . Three hearts floating in the air. Hsnd drowning watercolor set of three yellow easter eggs.